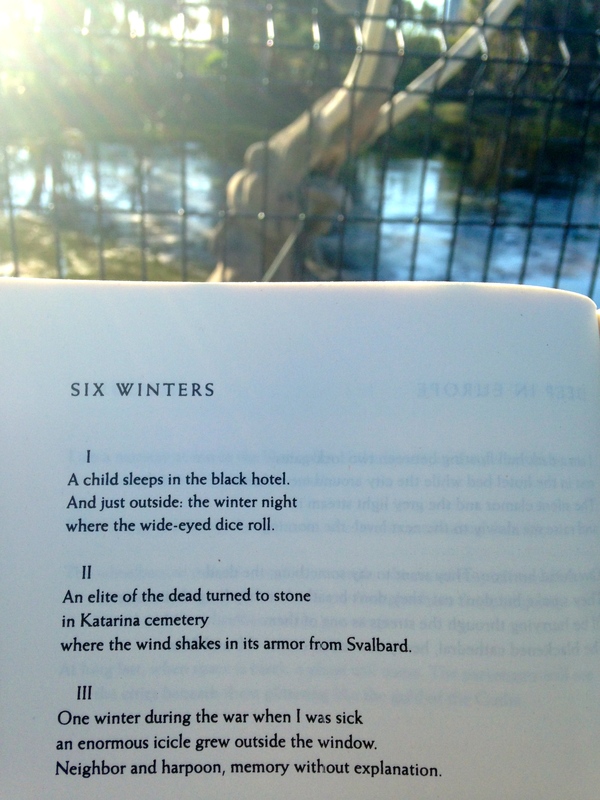 Pictured here are three of Nobel Prize-winning poet Tomas Transtromer’s “Six Winters,” framed by a dying mammoth sculpture at the La Brea Tar Pits in Los Angeles. 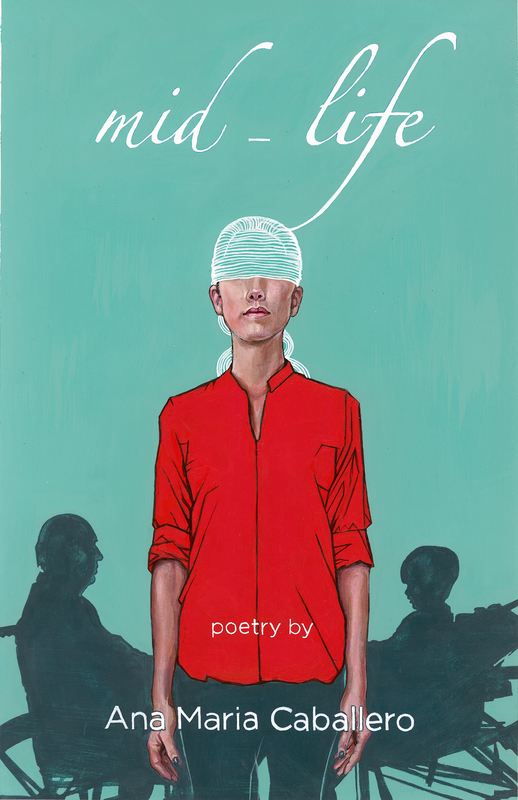 Below are the poem’s final three winters. Out of the six, number five is my favorite. Ice hangs down the edge of the roof. Icicles: the upside down Gothic. An empty railroad car on a spur. With the journey in its claws. on the way home. Bewitched avenue.